Here is a quick rundown of our Lazy Jack System and materials list. Our boom is 13 feet long and mast is approximately 45 feet above deck. 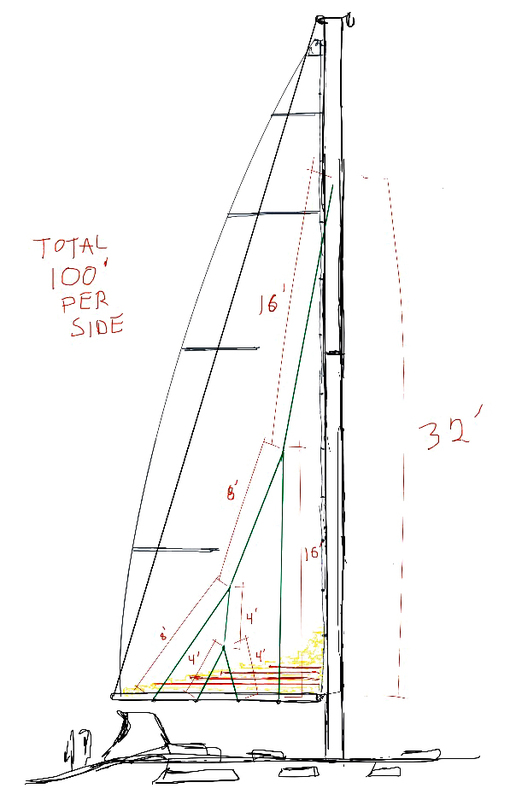 This configurations works quite well keeping our sail on the boom while dropping and reefing. We have future plans of building and installing a sail pack, at which time, the dyneema will be integrated into it and the overall system will stay the same.